The Round Tower Churches Society is a registered charity with over 450 members, The Society works for the preservation of these churches and explores their origins and history and in the last 40 years has made grants to churches of over £150,000. 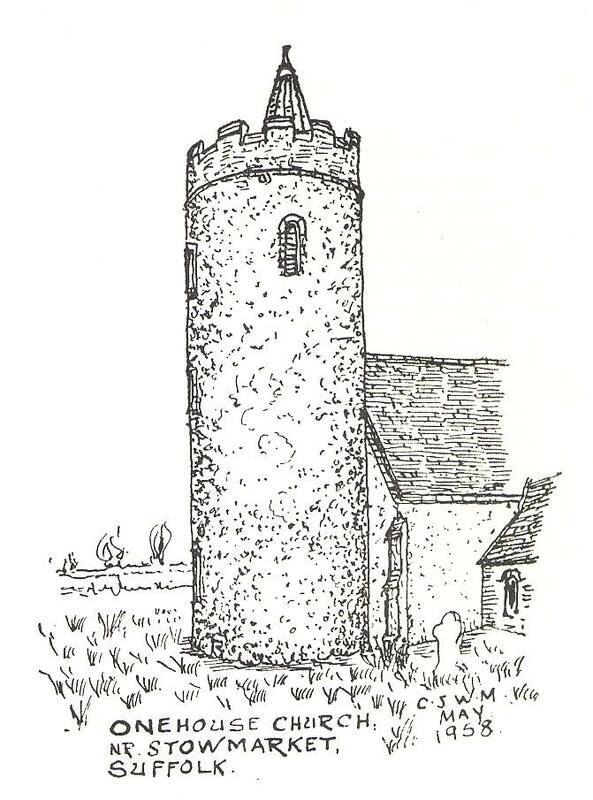 The Society was founded in 1973 by W J (Bill) Goode who devoted his retirement to a study of all the known round tower churches and published a key book ‘Round Tower Churches of South East England’. 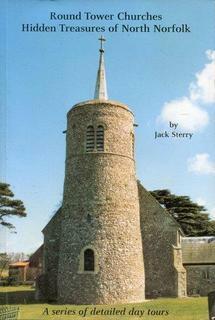 Bill donated the proceeds from the book to the Society’s grant fund and left an amazing collection of photographs which have been uploaded onto the Facebook Group of Round Tower Churches of South East England. Bill’s archive is available at Suffolk Archive Centre in Lowestoft, although this may be changing. Enjoy being part of a band of enthusiasts with a lively interest in this fascinating part of our heritage. For the names and contact details of RTCS Committee Members press here. 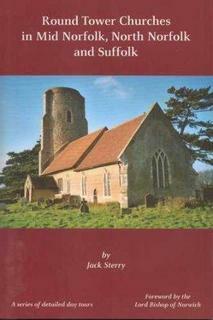 Jack Sterry, the author of books of tours of round tower churches died in February 2014. A sad loss for the lovers of Round Tower churches. 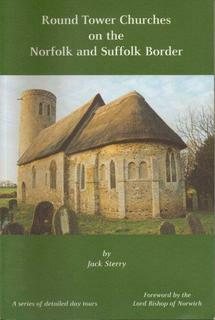 Jack’s books of tours can be purchased from the Society- go to items for sale. 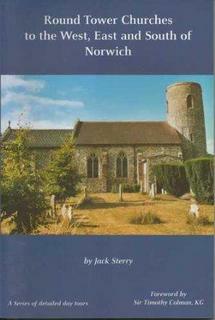 Jack explained his love of Norfolk and Norfolk churches in his autobiography: Almost a Norfolk Lad. 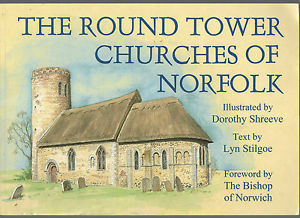 Dorothy Shreeve– known to Round Tower Church fans for her wonderful illustrations of ‘The Round Tower Churches of Norfolk’ has died. Dot generously allowed the RTCS to use her illustrations. 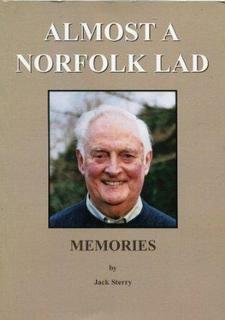 The book is now out of print, but copies are sometimes available at City Bookshop in Norwich or via Abe books. Eddie Spelman, a long time committee member and supporter of the Society died in 2010. A piece about Eddie was published in EDP – see Eddie Spelman. 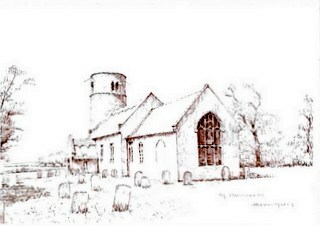 RTCS has been given electronic copies of Messent’s drawings of Round Tower Churches. 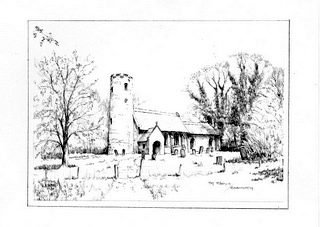 These wonderful drawings date from the 1950s are used alongside photos of the churches. 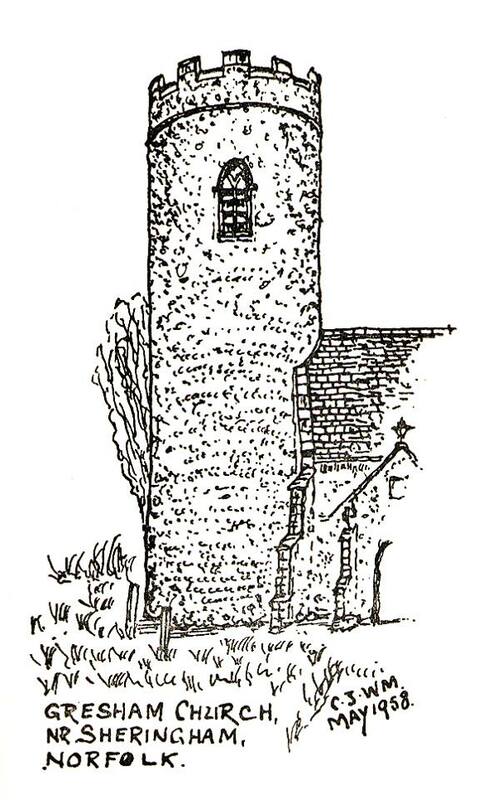 The drawing are available on the Facebook Group: Round Tower Churches of South East England. Most of the photos on this website were taken by members of the Committee. Other photographs are acknowledged. 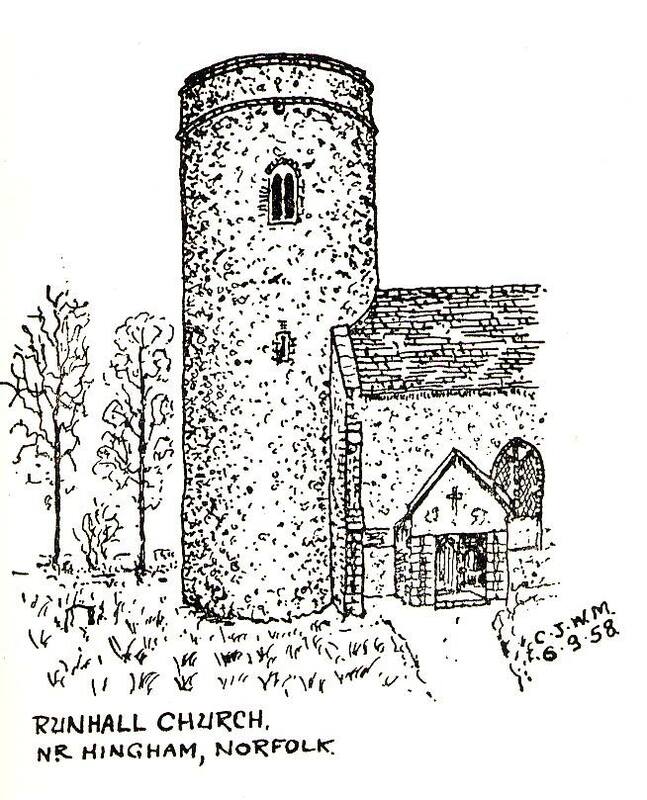 several people who have made generous donations in money and in kind to the Society including Mr T R Mee has kindly donated two of his fine drawings of Round Tower Churches- Herringfleet (left) and Cranwich (right).